Hey! Let's talk about Summerfest! Few figures are as emblematic of the highs and lows of ’80s WWF/WWE professional wrestling than Jake “The Snake” Roberts. Right up there with Hulk Hogan and Andre the Giant, Roberts was a towering, brooding figure of the company from 1986-1992. 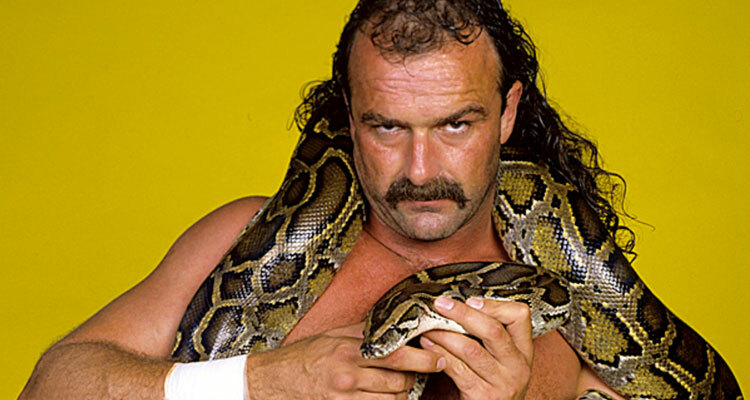 (Losing to Jake “The Snake” meant getting his python, Damien, draped over you.) Various stints in other companies (and the WWE) followed, though Roberts became better known in the late ’90s and early ’00s for his health and addiction problems, and for an unflattering appearance in the 1999 documentary Beyond The Mat. These days, the former and forever “Snake” seems to be doing much better; he was inducted into the WWE Hall of Fame in 2014. Oh, and you’ll be able to see Jake “The Snake” Roberts in person at Club Garibaldi on Saturday, November 24! The iconic wrestler will bring his “Dirty Details Tour” to the Bay View club that night, and will thrill the crowd with an “uncensored night of comedy and stories from the road that will forever change how you look at the glory days of WWE.” Comedy!